Benjamin Scheuer in The Lion. Photo by Matthew Murphy. 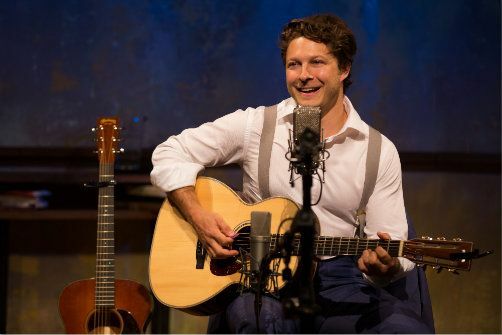 BOTTOM LINE: An excellent new musical memoir, written and sung by Benjamin Scheuer, about the love and loss in his life. Ten blocks north of West 45th Street, there’s a new troubadour in town. The Lion¸ presented by Manhattan Theatre Club, is a transfer of Benjamin Scheuer’s The Bridge from the 2013 Edinburgh Fringe Festival. Scheuer’s new one-man show is just Ben and his guitar, though the similarities with Broadway’s Once end there. The Lion is certainly a true musical, rather than a concert, or even what a “one-man-show” implies. The songs are written to explain and further the story arc that Scheuer is telling. Luckily, Scheuer is a charismatic and magnetic performer, easily able to hold the attention of the audience. The music has the theatricality of old fashioned folk songs, but is also refreshingly contemporary. Ben’s dad is described as a mathematician and economist by day, though in another life he “would have been a musician.” Ben is terrible at math, but his father bonds with his sons over music. In a pivotal moment, young Ben and his father get into a fight over Ben’s math homework, because Ben does not have the natural gift that his father does. The next day, before the fight can be resolved, Ben’s father gets very sick. The loss of his father at age 13 propels certain feelings and behavior that we don’t get to fully explore in 75 minutes, but we see that it caused extra teenage angst. Scheuer demonstrates the angst through affection for electric guitar and rock songs (“angry -- but awesome -- rock songs”), rather than acoustic songs and James Taylor. Scheuer is particularly gifted at writing songs in the style of the tone of each section of his story. The love song “Laugh” for Julia is very light-hearted and singer/songwriter-esque, matching the feeling of the happiness of a new relationship. Without spoiling the rest of the story, Scheuer, along with Sean Daniels’ excellent and focused direction, is able to dive into some darker territory without losing the heart and tone of the piece. Scheuer and Daniels have crafted a beautiful, alternately moving and hilarious, folk musical that is definitely a pleasant surprise. The Lion is part of Manhattan Theatre Club’s new “Studio at Stage II” initiative, which previously featured the excellent Murder Ballad and Choir Boy. 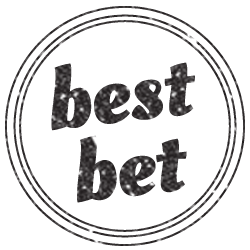 Tickets to these shows are affordably priced at $30, and so far, the programming is excellent.